Friday family night is always fun! We pray, eat pizza or hamburgers, wrestle (couldn't get a pic of this before Jonathan got a bloody nose, he's fine :)), and watch a family movie together. Last night we had pizza and I thought I'd show you the process I use to make it. These are the main ingredients I use for the pizza sauce (one of the few recipes I don't measure). Tomatoes, tomato paste, onions, LOTS of garlic, fresh spices (or Italian seasoning if I don't have the fresh), black pepper. Not pictured, salt, a spoon full of sugar and oregano oil if I have it. God has blessed Cameroon with good produce! I heat up some olive oil or pig fat in a pot (one day I will own a cast iron skillet!). Put in chopped onions and let them cook for a few minutes and then add minced garlic. When the garlic starts to brown I add blended tomatoes, paste, water, salt, pepper, and sugar. Before blending I cut the tomatoes in half and take out some of the seeds. Bring the mixture to a boil and then lower and simmer for about 2 hours. 30 minutes before it's ready add the fresh spices. While the sauce is simmering I cut up the toppings. Mushrooms, pineapple, tomatoes, green peppers, onions, bacon and pepperoni like sausage. Sometimes we have olives too. Grate a block of cheese. I use the same amount of cheese whether I make 5 or 10... makes it easier to budget. It's always good! I have an old cook book from 1933 that I use for the pizza dough recipe. I like to mix wheat flour and white. The upper left picture is of the whole wheat I get from the northwest part of Cameroon. I take it to the grinder before using. The recipe calls for 3 cups of flour, 2 1/4 tsp of yeast, 1/2 tsp salt, 1 tsp sugar, and 2 tbl oil. Mix and add 1 cup of water and knead. I usually triple this recipe to make 6 pizzas. After kneading let rise for 25 minutes. Oil pizza trays and roll/pat out dough. Add the sauce. Put extra there because some of it will dry out as it is being baked. Add cheese. The kids are such big helpers! All hands on deck! Uncle George helping the kids put on the toppings. Put in the oven! I can fit in 2 at a time. The recipe says bake for 25 minutes but it depends on how "hot" your oven is. I know my pizzas are ready when the edges of the crust get crispy and the top browns. We often have guests over to join us for family night! George "stealing" some pizza from our neighbor, Val. Val is one of the people who joins us for our Sunday evening home Bible studies. Jeremiah enjoying his no veggie pizza. His look says, "Hurry and take the picture so I can eat." Ha! I love the family (and extended family in Christ) God has blessed me with! Now that you have an idea of how our family nights go, anyone want to join us? We would love to have you! 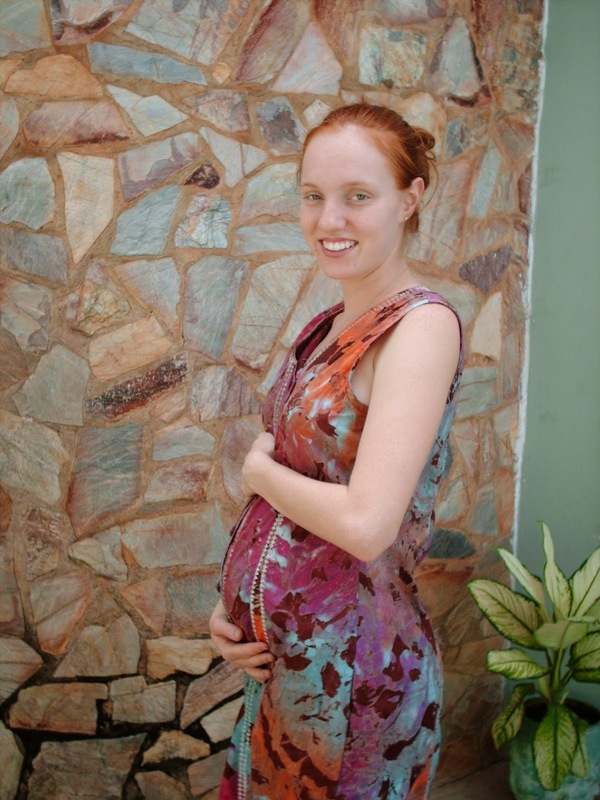 10 Years in Africa (from Brittney)!!! Kingdom culture consists of people from every tribe and every nation. I love my family so much! 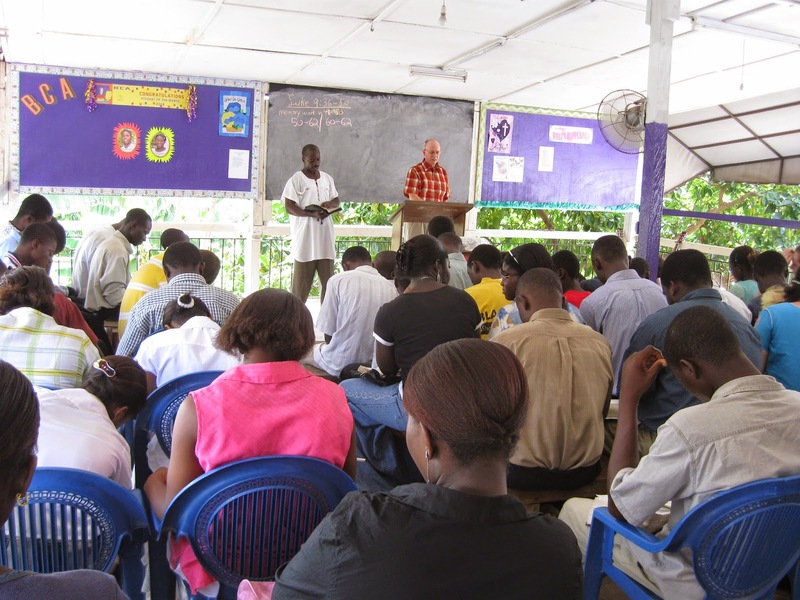 In Ghana I was blessed to witness many people immersed into Christ and even was able to help lead some to Christ as well. (Acts 2:38) My father and mother in law are Spirit filled/led people who have done amazing things for the Kingdom in Africa and worldwide. Many awesome friendships have been built throughout these years. Miss these ladies bunches! My parents had a major role in leading me to Christ though I didn't become a Christian until after I went to Africa. They never stopped showing me the love of Christ though it wasn't always (or ever!) easy. They have made several trips to Africa to visit and encourage us and the Saints here. Thankful for my Granddad Lacy who has always been there for me and took me to Northwest Church of Christ as a kid. I still have good childhood memories from going there. He even came to Ghana for our wedding! It's been fun being part of several weddings in Africa. I got butterflies in my tummy as I was going through our old pics and kept seeing this man. I am so blessed to have such an amazing husband! Family Camps were always fun and encouraging! Lots of preaching, singing, eating, etc together. A major part of the ministry we helped with was with the youth. Here is a group from one of our Youth Camps. These "kids" were so much fun to work with! We often organized late night basketball games with the youth as well. George who is blocking the shot in this picture is now schooling and working with us here in Cameroon. We never let us having a little one bedroom apartment when we were first married stop us from having the youth over for youth nights. 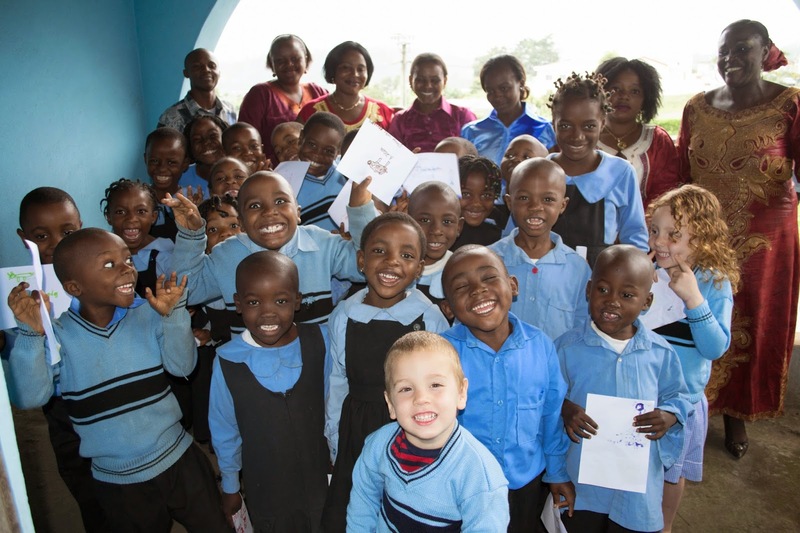 Here are some of the students who were in my Learning to Read class in Bomso Christian Academy. They have grown up quite a bit since this was taken! Hannah "helped" me teach in school from 1 week old on. Another one of my Learning to Read classes from a different year. BCA alllll the wayyy!!! "If you THINK enthusiastic and you ACT enthusiastic you will BE enthusiastic, YAY!!!!!" Staff versus students games were always fun! I think we won this one. Goooo Mrs. Osebreh! Alexander was a little boy who used to live with us and is now still attending B.C.A. Bible Club! 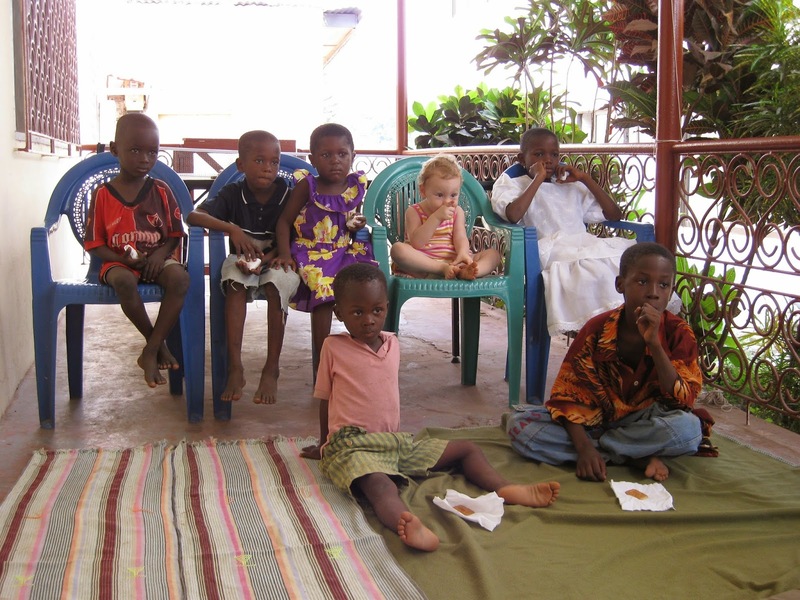 We had Bible club with children near our house in Ghana. Weight lifting, Oh yeah!!! 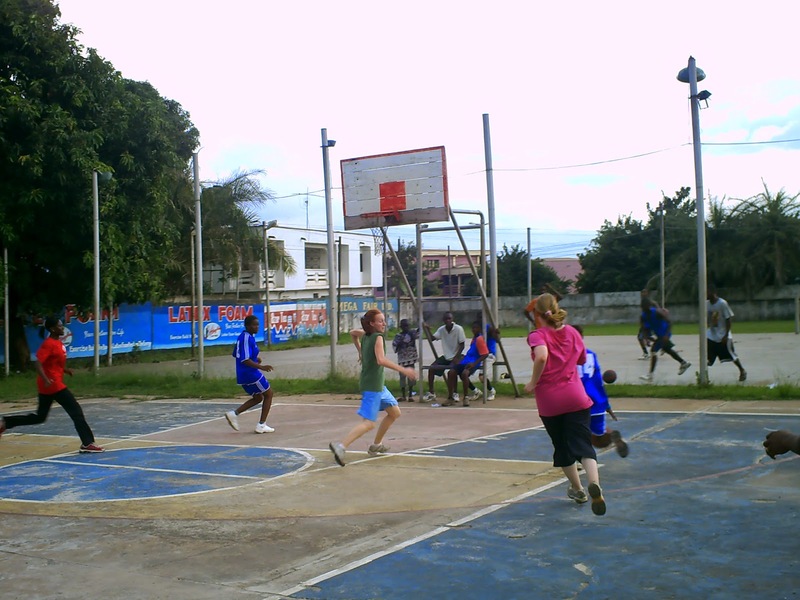 Our desire to have a gym ministry came from the work in Ghana. 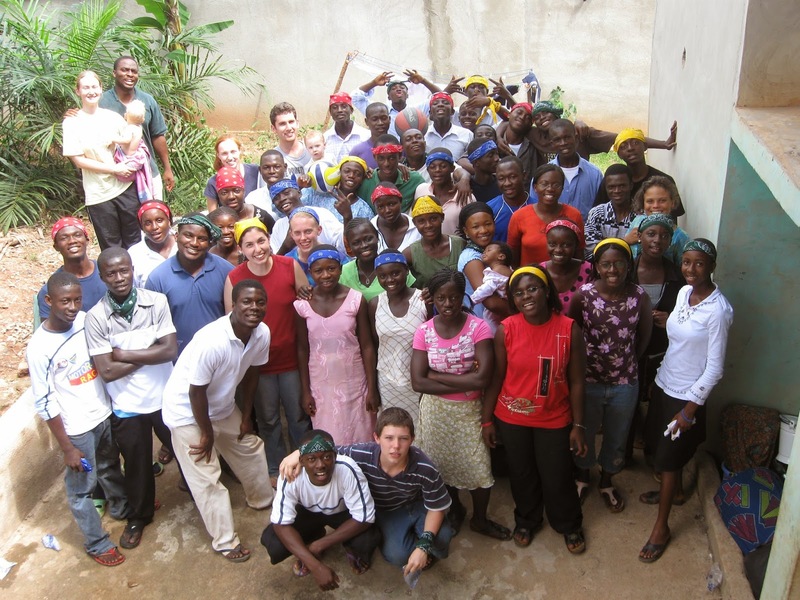 This is a picture of the congregation we were part of in Ghana and where Jeremiah grew up. We miss the Saints there terribly but are hoping to visit during their annual Family Camp this December if we can afford the tickets. Since being in Africa I have been blessed to visit many places around the world. Here is a picture taken in India where my beloved sister in law and her family are missionaries. We went to take part in the All Asian Mission Forum, which was great! Before choosing to live in Cameroon we made a survey trip to Burkina Faso. We didn't have a vehicle until we moved to Cameroon but Jeremiah's dad was kind enough to take us in his van and gave us his input on the country. We also considered moving to Ivory Coast but that was crossed off quickly as they were having a civil war at the time and it wouldn't be safe for a family with small children to live. A couple of times we had a chance to visit our good friends, Amy and Bruno, who are ministering in Togo and are a big encouragement to us. 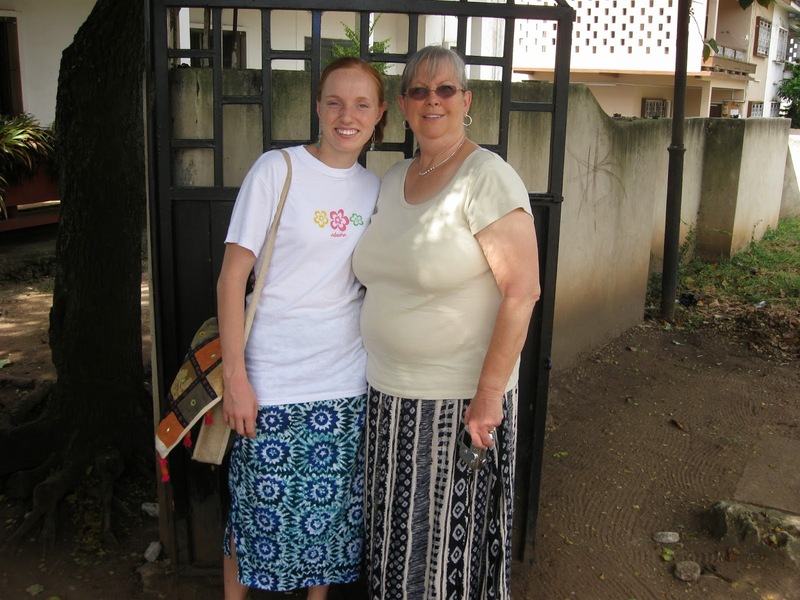 We believe God has opened SO many doors for us to minister here in Cameroon. 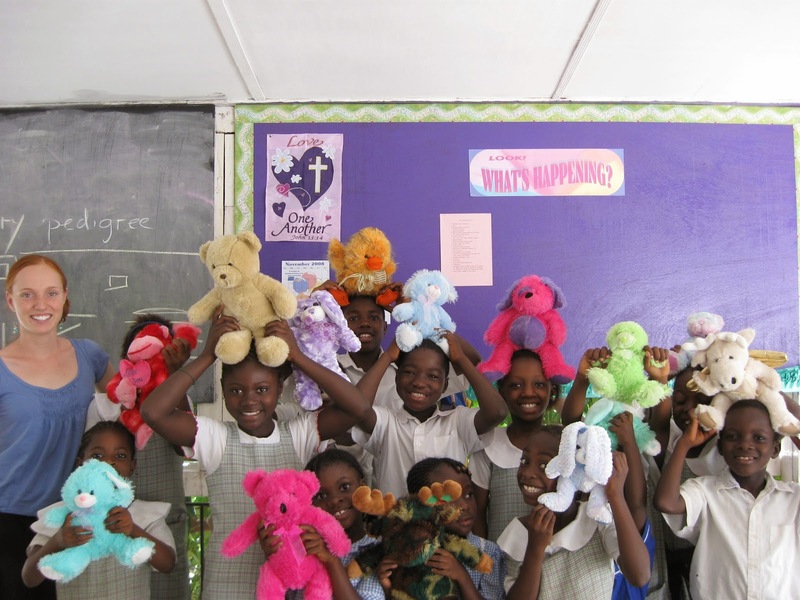 This is the school I used to volunteer in before we had our little school up and running. I still keep in touch with the head mistress and some of the teachers to keep the connections going. 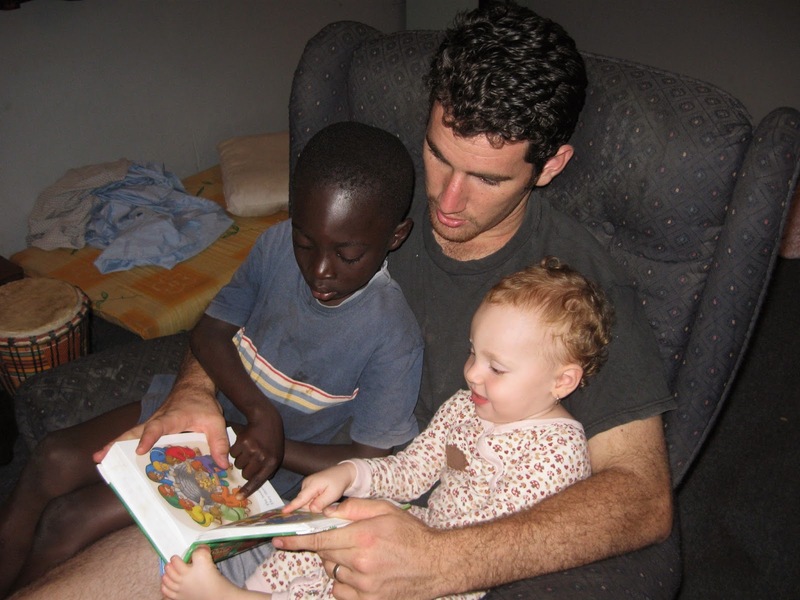 I added just a few pictures of Cameroon because many of you keep updated with our Cameroon pictures. As we look back at the last 3 years here we are thankful to God for using us as vessels to lead others to Christ and to encourage the Saints and much more. I hope you have enjoyed these pictures that show a small part of our journey these past 10 years. We give all honor, glory and praise to God for all He has done! Amen!